Join us Friday, September 1st 7-10pm above the crowd for the Friday Night Decadence Parade Viewing Balcony Party. 3 Hours Open Premium Bar and Balcony space to actually see the Parade. The Parade Friday Night travels down World Famous Bourbon Street with Mardi Gras Floats, Marching Crews and Majorettes. 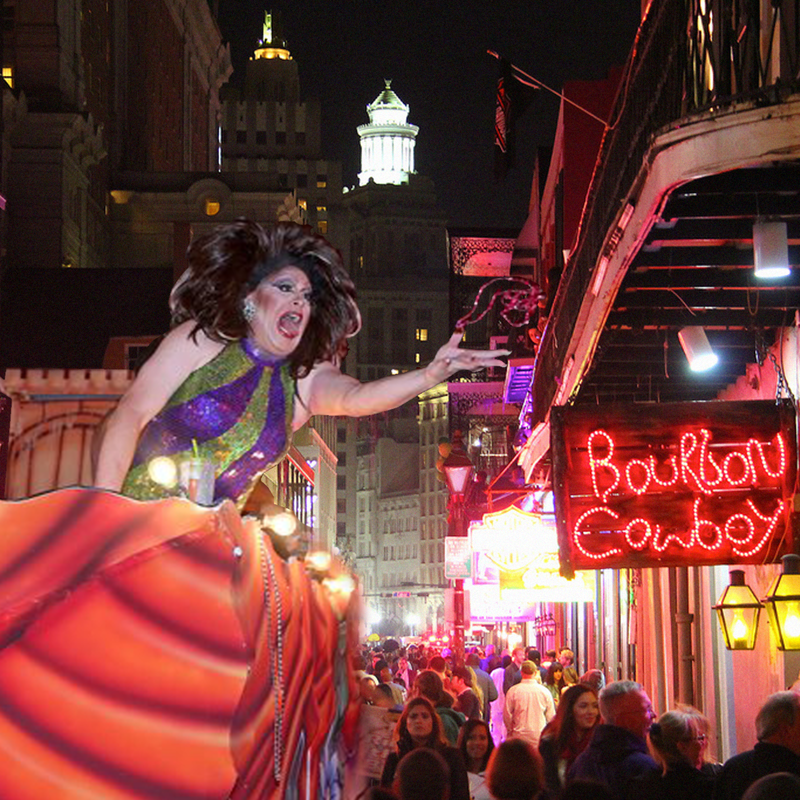 Buy your tickets now to secure your space for the ultimate view from the longest and lowest balcony on World Famous Bourbon Street at Bourbon Cowboy.